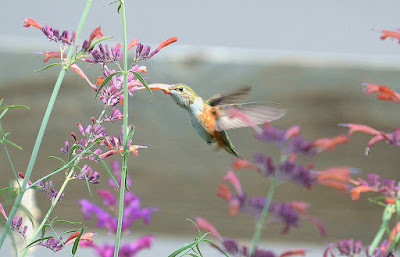 Migrating birds travel faster in the spring to beat competitors to the best breeding grounds. This study was built on data provided by improved weather and military radar technology. 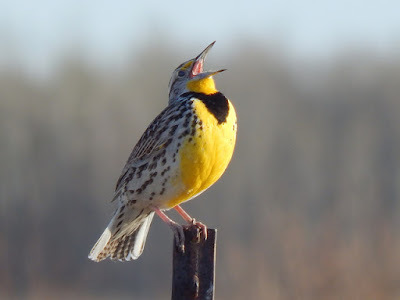 Along similar lines, another study used radar and eBird data to tie the timing of migration to specific environmental cues such as temperature changes. One study found that handling by researchers caused no lasting harm for storm-petrel chicks, while another found lingering stress for nesting shags. The differences may be due to their different nesting strategies. 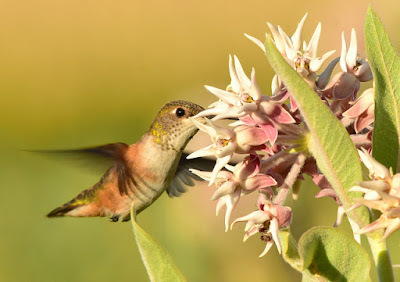 Birding can be a gateway to learning more about other organisms, especially on days when birds are hard to find. The non-native Kalij Pheasants in Hawaii live in social groups and breed cooperatively, unlike birds of the same species in their native range in the Himalayas. Climate change increases the risk of extinction for six of the eighteen remaining species of Hawaiian honeycreepers, since it encourages the spread of avian diseases including malaria. Chaffinches around Berlin's Tegel airport start singing earlier in the morning than birds at other locations and stop singing when the airport noise gets too loud. Here is a profile of the scientist studying the Blakiston's Fish Owl. African Penguins are becoming a rarer sight along South Africa's coast as their population declines. A young Bald Eagle being seen in Staten Island might have been the first to hatch and fledge successfully in New York City in over 100 years. The IUCN has improved the Giant Panda's ranking from endangered to vulnerable as its wild population has bounced back after protection of its wild habitats (which also support many other unique species). The oceans has absorbed a tremendous amount of heat in recent years, and that is already altering fisheries and possibly spreading disease and increasing the scale of natural disasters. A tenth of the world's remaining wilderness has been destroyed in the past 25 years, with nearly a third of that destruction happening in the Amazon rainforest. Tapirs play a key role in how much carbon a tropical forest can store. The intense rain and flooding in Louisiana was probably caused by climate change. The US Army Corps of Engineers ignored criticism from the EPA and other federal agencies when it approved the Dakota Access Pipeline. The Syrian civil war is limiting access to scarce water supplies, with repercussions for neighboring countries such as Lebanon. A conservationist is trying to map what Manhattan looked like before Europeans arrived with the Welikia Project. This site has a map with a slider to predict when fall foliage will be at its peak in the US. New Jersey just had its second-hottest August on record and fourth-hottest summer on record. A beetle that preys on hemlock woolly adelgids may help save hemlock forests from disappearing. Conservationists are fighting to keep off-road vehicles from destroying parts of New Jersey's Pinelands. The US Fish and Wildlife Service decided that the Coastal California Gnatcatcher will retain its protected status as a distinct population despite a challenge. A comparison of Spotted Owl populations in national parks and national forests suggests that logging is far more detrimental to owls than forest fires. A recent study found that 30% of Australian seabirds had ingested marine debris. Most Snowy Owls that winter on the prairie are in good physical condition and may even increase their fat reserves over the winter. This week Obama is visiting Midway Atoll, home to 1.5 million Laysan Albatrosses and many other seabirds. It is still unclear what causes spruce budworm outbreaks, but the outbreaks are generally ended by an increase in predators (such as the birds that depend on those caterpillars). Jamaica Bay Wildlife Refuge could be an iconic national park in an increasingly urban age. 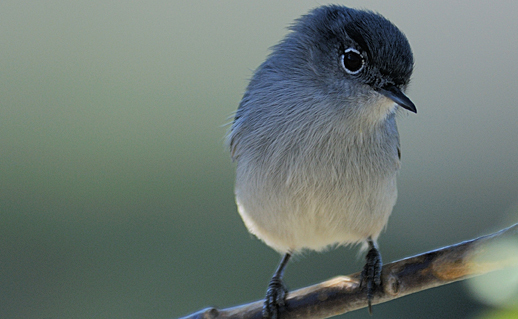 Birding can be a window into the marvels of the natural world. To learn shorebirds, start with the easy ones like Killdeer first. Users of eBird can now make public profiles. A Common Raven spent the summer in the Atlantic Highlands of New Jersey. September is a great month to look for migratory land birds. 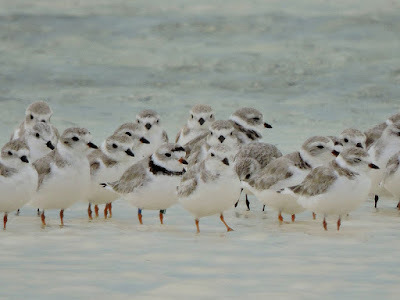 The Freiday Bird Blog: Fri-D: How Old is that Shorebird? The African elephant population declined 30% from 2007-2014 according to a recent study. Mountain lions in the Santa Monica Mountains around Los Angeles could disappear in 50 years because of inbreeding, unless they have a way to cross local highways. Formal declaration of the Anthropocene will require identifying consistent geologic signs for it, and perhaps a spot to mark the physical boundary between it and the Holocene. The legal cases against the Malheur occupiers are working through the courts; meanwhile, many staff members have resigned, leaving the refuge mostly unsupervised. The Bears Ears area of Utah is a strong candidate for national monument status.